The mixture of complex carbohydrates (maltodextrin, 90% of carbohydrates) and simple sugars (fructose, 10% of carbohydrates) provides a continuous supply of energy and muscle glycogen replenishment. 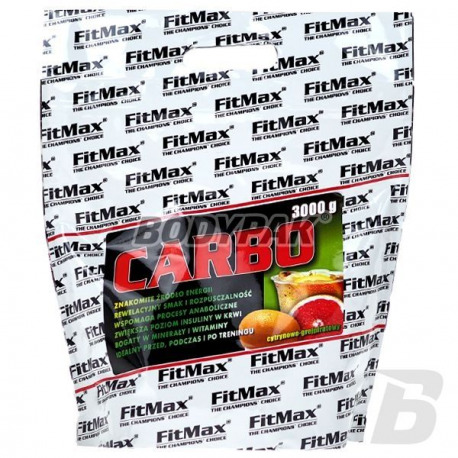 FitMax® Carbo - a carbohydrate drink concentrate, designed for people who need an increased level of energy, intense physical exercise in all kinds of sports strength and endurance. The mixture of complex carbohydrates (maltodextrin, 90% of carbohydrates) and simple sugars (fructose, 10% of carbohydrates) provides a continuous supply of energy and muscle glycogen replenishment. The addition of vitamins and minerals provide control of water and electrolytes during exercise, and supplements in the most important for an athlete minerals and vitamins. The product should be used in individual doses, depending on the weight of the body of the person using the formulation. 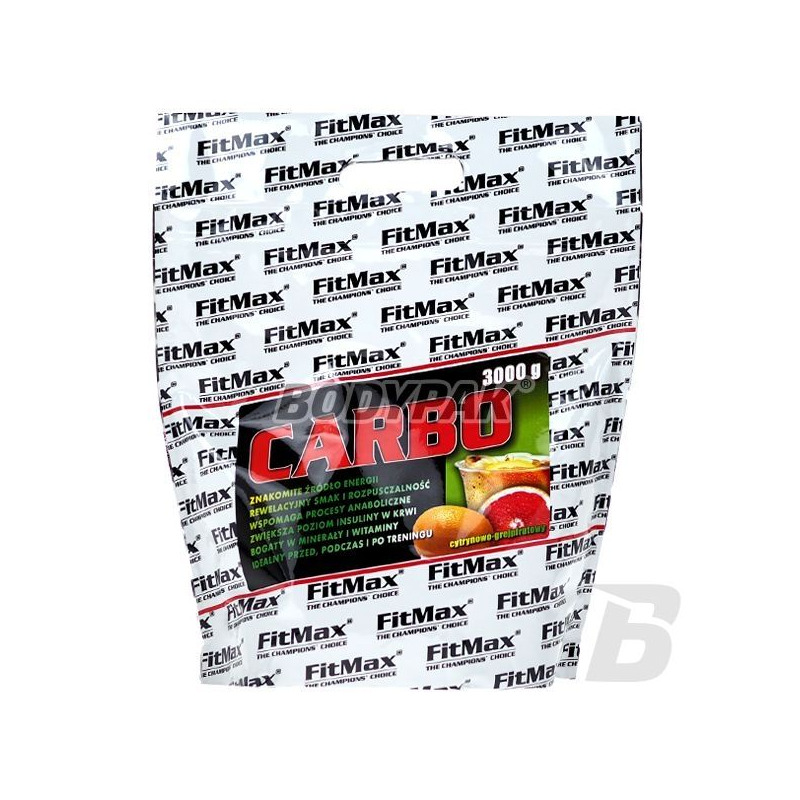 The best time to use FitMax® CARBO is the period after training, when the need to provide 0.5g - 1.0g of carbohydrates per 1 kg of body weight. In order to create an isotonic drink, one portion (35g) dissolved in 500 ml of water - 1 tablespoon about 10 g of the formulation. Ingredients: maltodextrin, sugar, fruit powders, mineral mixture (sodium citrate, potassium hydrogen phosphate, magnesium lactate, calcium lactate), citric acid (E 330), vitamin premix (vitamin C, vitamin E, thiamine, riboflavin, niacin, calcium pantothenate , vitamin B12, biotin), concentrated flavor-aromatic colorant. It contains natural flavors. Carbo jak Carbo.. jednak cena i rewelacyjny smak sprawiają, że zawsze kupuję gdy potrzebuję dobrych węgli.